OK,off the bench with the other shuttle and back to this in the next couple of days hopefully.So SRB's are all white again and once the markings and decals are on em will be hit with a light dull coat just to take a lil shine outa em.Got some tape on it's way from jammydog that should get here this week sometime.So then it'll be onto masking up the boosters and applying the black and red bands to em.I also need to make up a yelowish/orangish colour for the foam also that is around some of the joints.These things to me still feel like they could use some more drying time,so i'm really in no rush to be laying tape on em. The boosters are just dummied up on the tank again,everything will be done to em and then they will be applied once finished. The foam impact abosorbers are sprayed on so you could actually put some putty on the lower sides of the joints, per photos of the prototype. You'll have to decide if just painting them on will look good enough for you. Yeah i was thinking about trying out some putty for a closer look with it.The SRB's in the kit actually have a pre tapered bottom to those rings,i guess it's there way of doing the foam perhaps. I think there are some inaccuracies again with these also perhaps.Am i right in thinking ALL the joints (rings) should be the same width on em.All the joints lower than the bottom ET attach point are quite wide compared to all the ones above that attach point in the kit.From what i can tell they should all be the same width?Just another thing that perhaps you might know also,are the three positions where the foam is the stiffner ring locations?Thats how it's looking to me but i'm not sure and perhaps why is it just these three areas have that foam? Always like learning more and thanks again!! Last edited by Wombat; 01-10-2011 at 04:13 AM. It must be the stiffner rings. STS 89 photos are not easy to come by as you probably know. 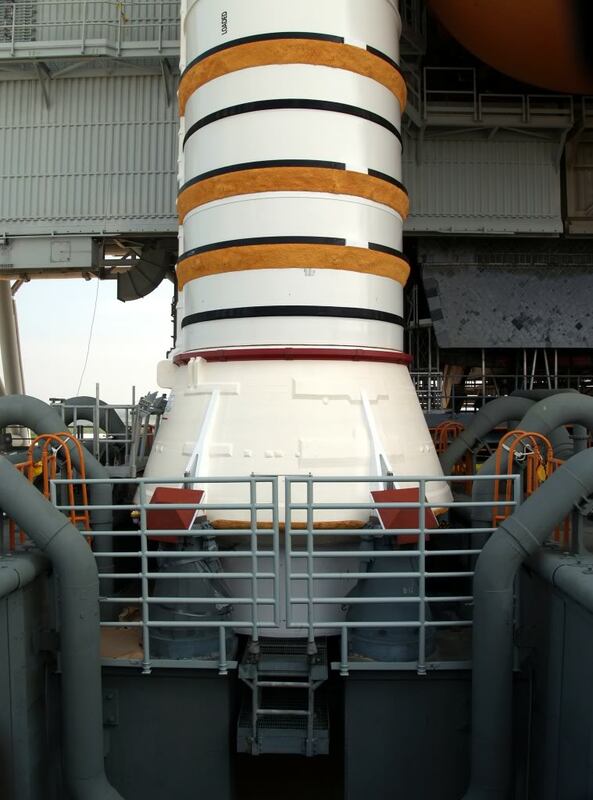 I have searched around and don't see any specific SRB photos but any which show the foam should be correct for all SRBs. I don't know wether it will help any but here's a couple of drawings from a document stashed in my ref archives. Yeah,my searching for really good usefully STS-89 pictures has been a bit like finding hens teeth.Still,there are a few that show the markings pretty much of the SRB's for that flight. This is a picture from the rollout that shows enough.The black bands all look to be about the same thickness,the same with other flights.The kit though would need some work to make them all the same width so i guess it'll just have ta be a case of painting the same width markings on all of em and be happy with that. Last edited by Wombat; 01-10-2011 at 12:21 PM. The following aren't from that mission but if you squint you can see the SRB's and the areas we've been talking about. Here's a few more from STS-89 that I had sitting around that might help. 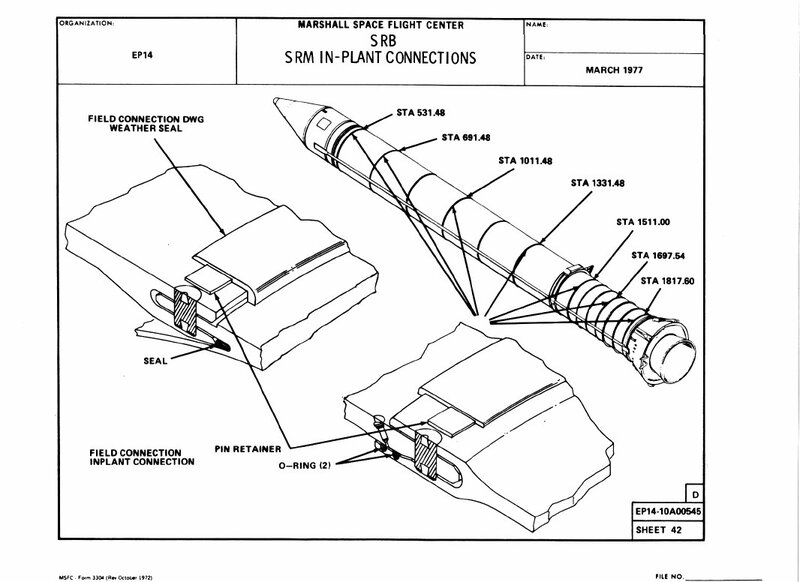 Are you looking specifically for the upper SRB or lower SRB portion? 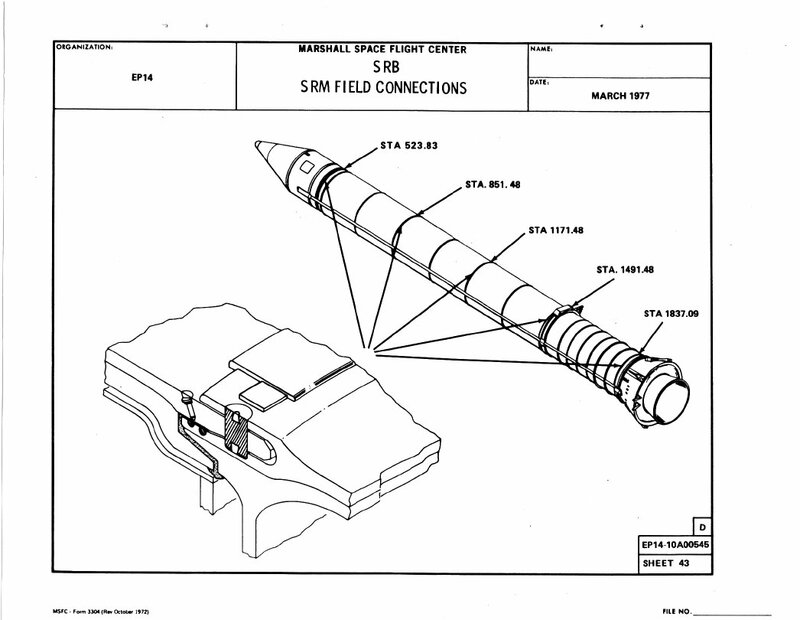 Nothing in particular but anything and everything that is from STS-89 showing the stack/orbiter could be useful.I have them pictures you've posted but thanks.This mission doesn't have a great lot of imagery that is useful and being a night launch those pictures aren't much help either. Still,it did light up the sky pretty damn good that night!! Cheers John,i have quite a few like those also to use for some reference and in the case of the foam they'll work fine.It's more just getting whatever markings need to be on em in the correct spots along with things like the rear ET attach band thingie looks to be white in the centre for STS-89 and i guess other flights of this period,where as the later ones look to be grey. 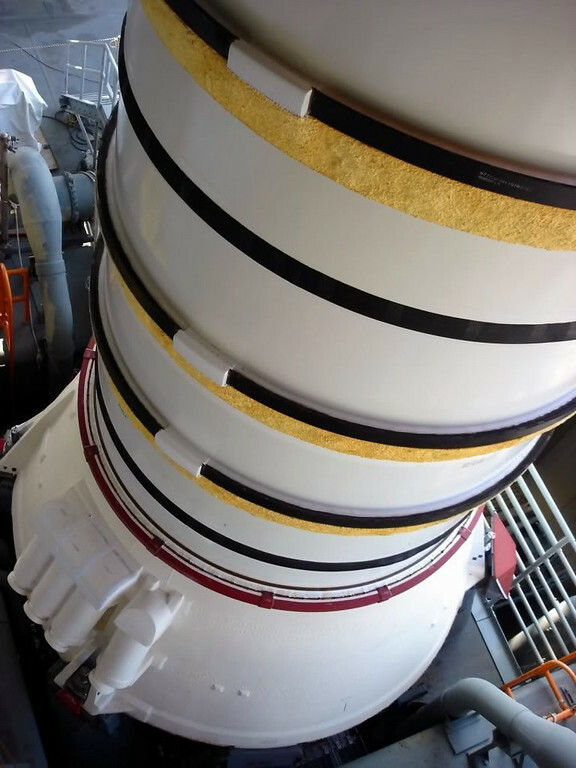 I posted that picture more just to show how the black bands on the SRB's look to be around the same width which means i'll just have to paint the same as i see even though the lower bands on the kit are four times as wide on some of em. The kit is wrong detail wise or i'm just not seeing something,even squinting at that.. I sorta can't wait to see what i'm gonna do with the shuttle either cos,i really just don't know at present. First though the SRB's need some stuff done and then i'll finally have to decide i guess. Is there some way you could burnish the texture into the plastic instead of applying all that tape? I'm thinking something like a fine metal file pressed in hard on the plastic may get you a similar look but without applying all those squares. I'd test paint on that tape and make sure it doesn't fuzz up and ruin the look. ---Just brain storming. You'll get it somehow. Don't forget to mask and paint the serial numbers on each tile. Easy. Still not sure what i'll do about a texture,dbhs but like i mentioned,it might just get painted and me be happy with that.The tape did look good to me but theres a lot of work there and then the tiles also.Just what i need,another drawn out build as if i don't have enough of them already..
Mike,i was thinking,you might be persuaded ta do that side of it for me.Ya gonna need a steady hand though!! No worries, I'll start cutting 15,000 microscopic serial number masks tonight. Won't take long. I was thinking about the blanket textures again, maybe a satin paint of slightly varying shades might replicate the texture? You'd still have to do a crapload of masking, but I've learnt to never underestimate your skills on a tough project. Last edited by LastBattlestar; 01-18-2011 at 04:06 AM. 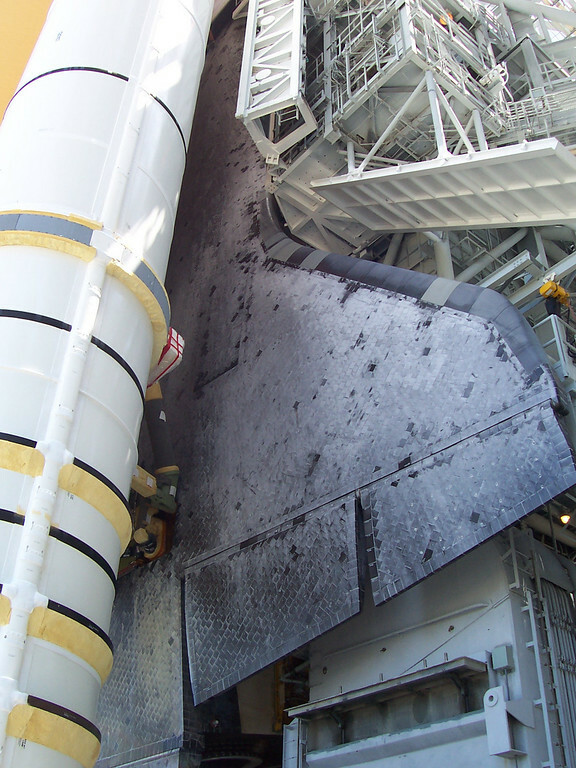 Are you trying to get a texture on the SRB's now? I lost track somewhere. I know you're discussing the shuttle tile details and all that scribing you're gonna be doing!